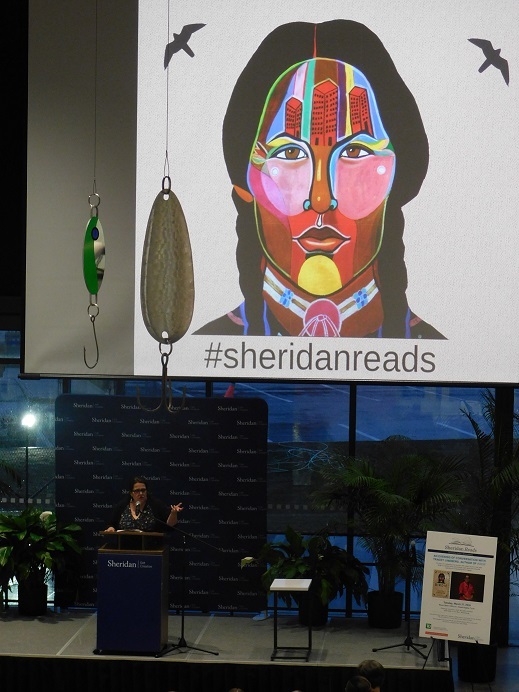 This winter saw the latest iteration of Sheridan’s annual, FHASS-driven communal reading event, Sheridan Reads. This year’s selection was Birdie by Cree writer, lawyer, and activist Tracey Lindberg. This year’s programming, while truncated, rescheduled, and rescheduled again by the labour stoppage, was the first to feature participation from Creative Writing & Publishing students, and they were well served by the programming and generosity of Tracey’s spirit. Tracey joined us at HMC to deliver an installment of the Creative Campus Series on March 27, 2018; her talk focused on trauma, the politics of recording and sharing indigenous experiences in Canada, and the concept and processes of reconciliation. The next day, Tracey led a closed workshop with Creative Writing & Publishing students which allowed them insight into her writing process and practice, and gave them the chance to hear Tracey’s publication story. In Birdie, a big, beautiful Cree woman with a dark secret in her past, Bernice (”Birdie”) has left her home in northern Alberta to travel to Gibsons, B.C. She is on something of a vision quest, looking for family, for home, for understanding. She is also driven by the leftover teenaged desire to meet Pat Johns – Jesse from The Beachcombers – because he is, as she says, a working, healthy Indian man. Birdie heads for Molly’s Reach to find answers, but they are not the ones she expected. With the arrival in Gibsons of her Auntie Val and her cousin Skinny Freda, Birdie begins to draw from her dreams the lessons she was never fully taught in life. Informed by the lore and knowledge of Cree traditions, Birdie is a darkly comic and moving first novel about the universal experience of recovering from tragedy. At heart, it is the story of an extraordinary woman who travels to the deepest part of herself to find the strength to face the past and to build a new life. Birdie is a national bestseller, winner of the OLA Evergreen Award, winner of the KOBO Emerging Writer Prize, a 2016 Canada Reads finalist, Georges Bugnet Award for Fiction finalist and was included on the International DUBLIN Literary Award longlist. Tracey is a citizen of As’in’i’wa’chi Ni’yaw Nation Rocky Mountain Cree and hails from the Kelly Lake Cree Nation community. She is an award-winning academic writer and teaches Indigenous studies and Indigenous law at the University of Ottawa. She was the first Indigenous woman in Canada to complete her law degree at Harvard University, and is thought to be the first Indigenous woman to earn a PhD in law from a Canadian University. 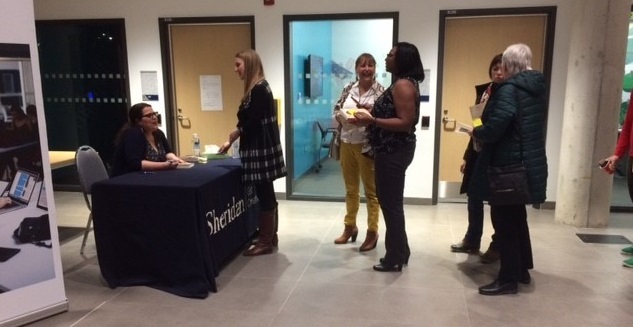 We were honoured to welcome her to Sheridan for this exciting event. You can check out the Sheridan Reads website here, or view the trailer for the novel and the event here. TESOL+ Graduate Certificate is Up and Running!